While I certainly believe that the silliest of decks can read for the most serious of questions and vice versa, it’s also been my experience that each deck has a niche mode in which it shines brightest. Or you could say, in which energy flows most smoothly between deck and reader. For the most part, my RWS deck can fulfill any role, but this Spring I developed a hole that its become less and less efficient at filling. Back in January, I ordered the COSMOS tarot + oracle deck. While great for creative inspiration and meditative guidance, I often find it too sensory-overloading for me to use in a traditional manner. And when something doesn’t go quite the way I intend, I have a habit of shifting my aim in the opposite direction (which one could blame on the great rebel Uranus sitting cojunct my Moon). So after COSMOS, I next made friends with the succinctly simple Tarot of Plants. The concise and highly concentrated symbolism is wonderfully potent, but my lack of familiarity with many of the plants makes it difficult to read without consulting outside sources. I’ll never tire of a deck that can take me deeper & deeper, but what I’d been scouting about for was a deck to take anywhere; something not-too-serious; a tool to channel potential; a friend to check-in with, to ask advice. And what do y’know – I didn’t even have to dig too far into the internet to find it. 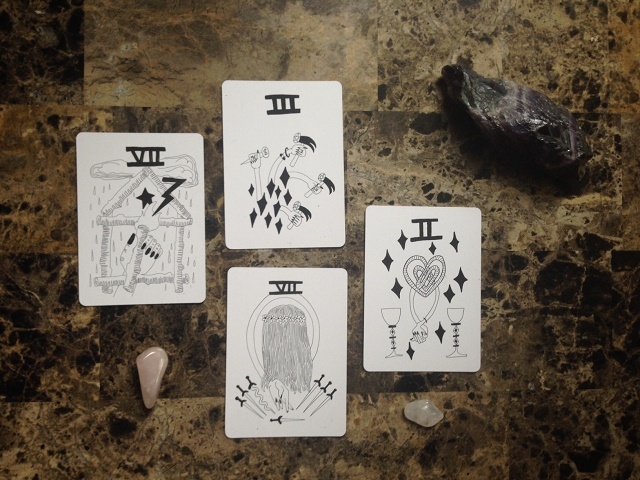 Neither too stimulating nor too dense, I scooped up the Spirit Speak deck right here on Little Red Tarot. Beth’s caption describes this deck as “playful yet dark”, which aptly describes a Scorpio Rising + Gemini Sun such as myself, so I knew this deck & I would grow to be partners in crime good friends. This deck has been splendid for daily draws, elemental check-ins, project spreads, course-of-actions spreads – exactly what I needed! The simple B&W folk art imagery settles me a comfortable gray zone, padded off from the seriousness of material reality, padded also from the ocean of immaterial possibility. 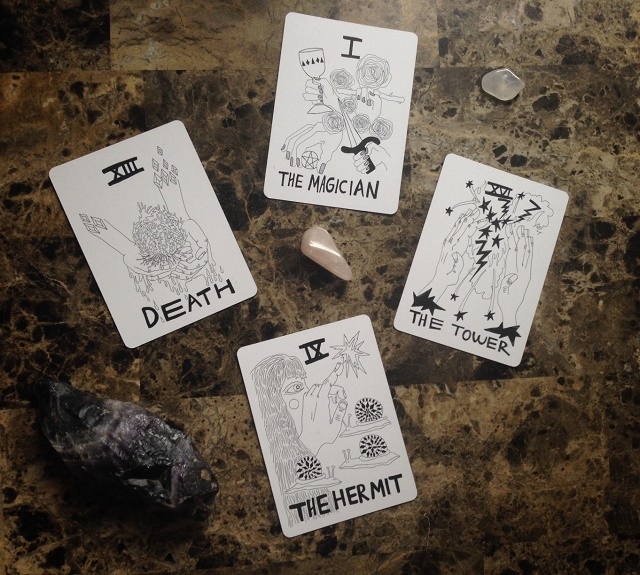 The Spirit Speak tarot has a RWS backbone, punctuated with insightful creative leaps. Roses, diamonds, and eyeballs are are scattered throughout, weaving a unifying theme while still symbolic in each individual placement. Suits are the traditional cups, swords, pentacles, wands. A few cards prominently feature animals, a few with plants, a few with geometric shapes. About a quarter of the cards feature human figures or faces, mostly ambiguous/non-gendered. The overarching – or maybe just my favorite – theme here: HANDS. So many hands! Clutching, pointing, engaging, igniting, destroying, deciding. About half of the cards feature hands and – harking back to the deck’s name Spirit Speak – these hands show me how to best allow the spirits to speak through me, how to best channel the potential energy around me into the magical manifestation that is my life. And what a powerfully universal symbol, transporting the reader directly, synchronizing reader and card. Hands. In astrology, the Moon rules intuition and the body. Your body contains profound knowledges that your mind does not grasp. 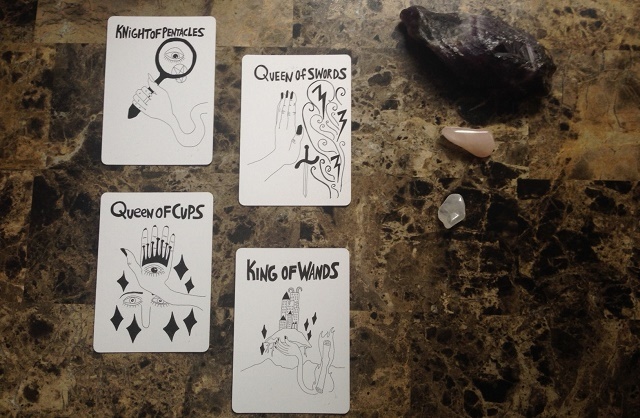 Let your body, your hands, your intuition, these cards, let them guide you. Your hands got these cards out in the first place and they will take you wherever you go next. Artists will sometimes swap a couple cards if they feel so enlightened, and I look forward to the fascinations & justifications outlined the guide book. With Spirit Speak, each mystery sits on its traditional numerological throne, it just depends on which tradition your referring to – because both Strength & Justice are labeled 11, none 8. I found this strange and lack of comment in the booklet stranger. In a special note regarding the misnumbering, creator Mary Elizabeth Evans remarks, “I feel like this is a way of my deck communicating…To not be so serious, to accept something different as something beautiful…” which is quite on point with the vibe I’ve been seeking. A vibe I’m sure oodles of Capricorn Moonfolk are seeking: how to not be so serious [all the time], how to find the peace + joy in the casual. This is the first deck I’ve ever felt comfortable shuffling poker-style, and not just because they’re playing-card size. Usually that gesture feels rudely casual, as if ‘casual” were separate from ‘spiritual’. Blending the two is rather new to me. I assumed the combination disrespectful, but I’m finding it generously peaceful and rewarding. I’m over the moon to have this niche filled, to have this new friend helping me channel incoming inspiration and energy. I’ve been so productive lately – I even wrote this post! The double-11 print run is out of stock, but fret not, the Spirit Speak tarot reversed is here to fill the void. Mary Elizabeth Evans is also the creator of the Vessel Oracle! Hello, I’m Tango (she/her)! 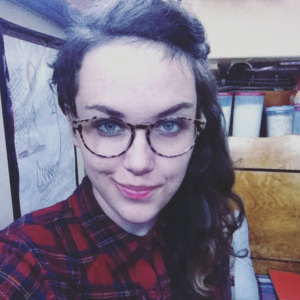 Based in rural Southeast Alaska, my personal philosophies and daily practices are built on the intersection of science and spirituality – with tarot, astrology, and herbal wisdoms being my key guides. 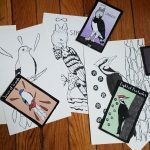 Marianne reviews the Spirit Speak Tarot a new starkly-illustrated folk-art deck which is filled with strange symbols and darkly beautiful reinterpretations of tarot's powerful archetypes. 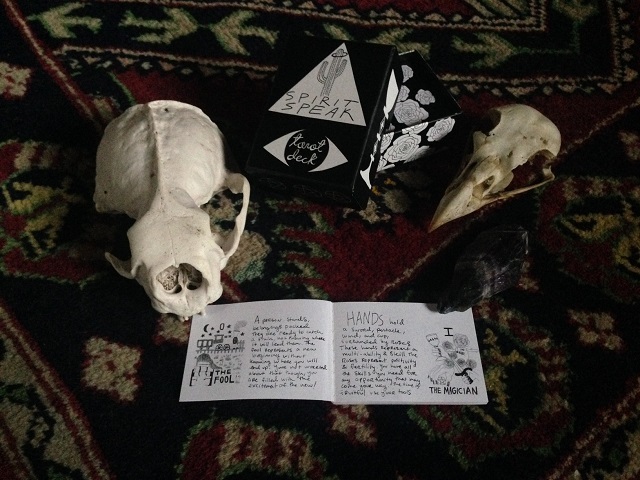 I ordered Spirit Speak from Beth also…and yes…HANDS! It didn’t dawn on me the power of hands with this deck until you mentioned it. Thanks! Weird thought: I absolutely love the scent this deck. Reminds me fresh ink! 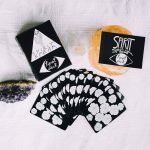 I love seeing the Spirit Speak Tarot get some love and appreciation! It’s truly one of my favourites to work with. Something about it just instantly clicked with me. Glad to see you’re enjoying it, too!